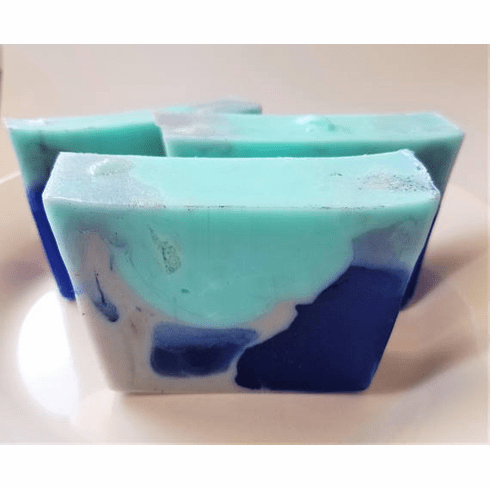 The soap is a dupe of a well-know men's cologne (the cologne is not called Blue Water). Made with olive oil and aloe. Weighs approximately 5.5 ounces.